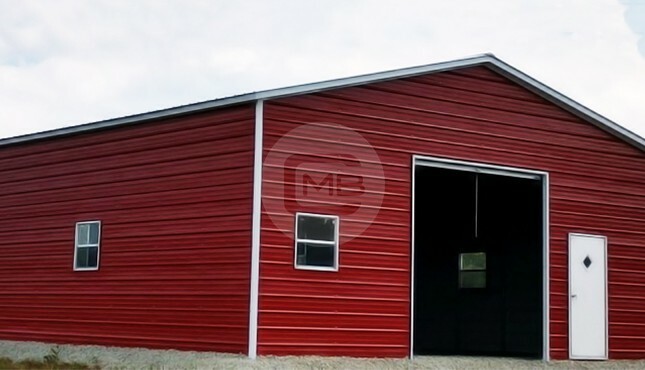 If you’re in the market for a metal building, you’ve come to the right place! 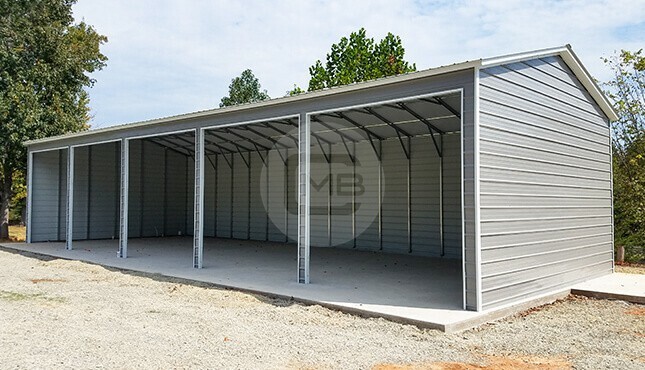 With hundreds or potentially thousands of uses and applications, metal buildings are very versatile and contribute significantly towards increasing your property value. However, it’s important to understand your local area permit regulations, area wind and snow loads, your lot size, leveled land requirement, and most importantly how you want to use your metal building. Too much stuff in your house? Seems like us Americans cannot avoid gathering stuff. We buy stuff, collect stuff, and inherit stuff. We give and receive stuff on every Christmas, birthday, anniversary, Easter, Mother’s Day, and Father’s Day. Eventually we all become overstuffed with stuff. All this stuff is a common problem… but our customers who want to de-clutter their homes and lives have found a solution! 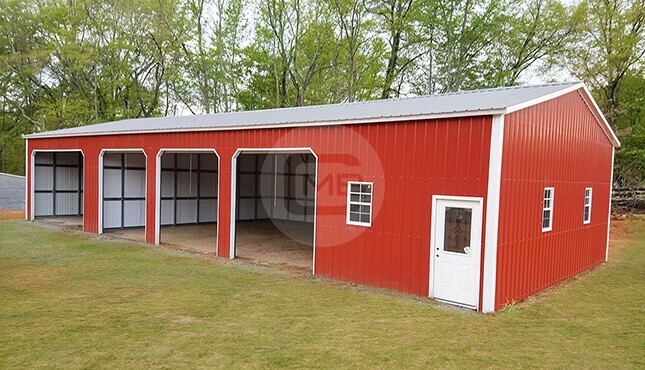 A sturdy 30’ X 50’ building offers you a ton of advantages with almost 1500 square feet of space to stow away your “stuff” that can now be safe and secure, without cluttering up your bedrooms or the rest of your house. 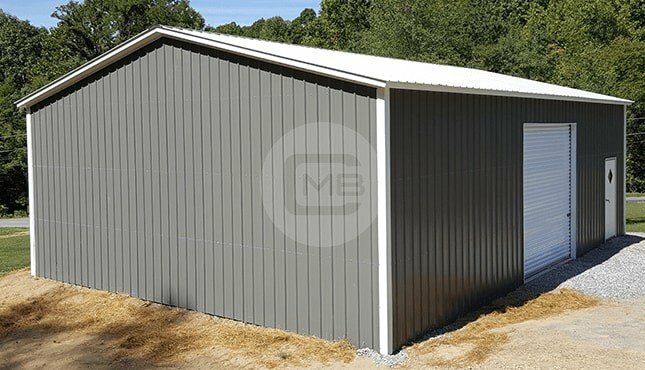 A 1500 square feet space may equal a large percentage of the space in your existing house, but the price you pay for the space provided by this metal building comes at only a fraction of the cost. 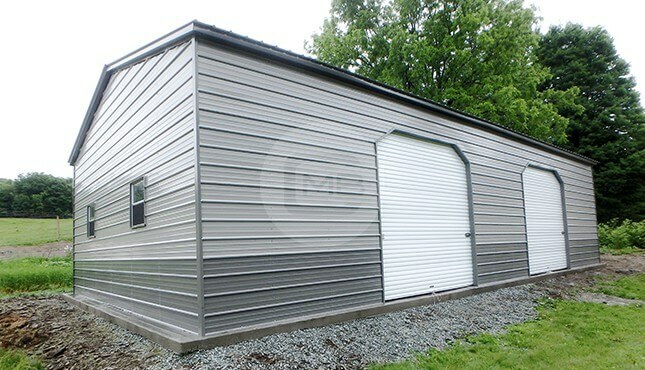 30’ X 50’ buildings are perfectly suitable for small business operations. Many customers buy these buildings to run their printing business, coffee shop, donut shop, advertising business, dry cleaning business, or local pharmacy. 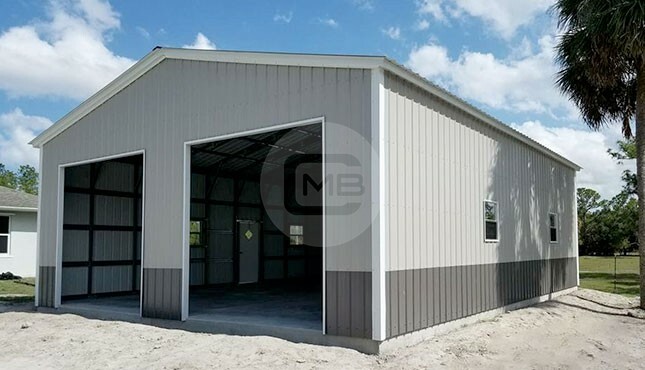 Recently, a lot of mom-and-pop stores have started adopting the 30’ X 50’ metal building plan to successfully run a client office in the front, and have a manufacturing or kitchen and cold storage area in the back. 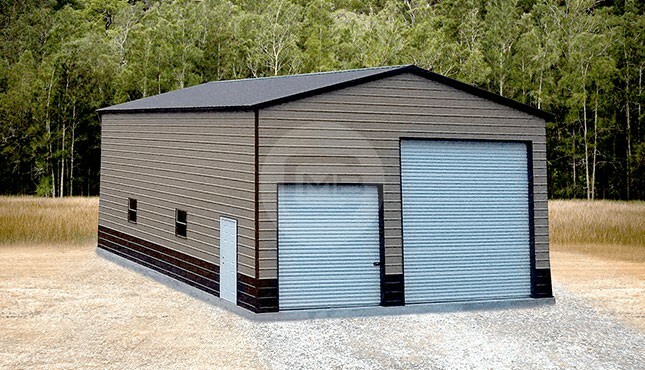 These businesses thrive because of the cheap upfront cost and low maintenance required with a metal building. It takes away many of the hassles as an owner, and it enables the business to focus on running their operations rather than having to worry about rotting boards, termites, leakage, or pests. A quality installed 30’ X 50’ structure could work wonders for your business and operations. Some of our customers have used the 30’ X 50’ building as a book store with a library upstairs; it’s perfect for creating a calm and peaceful place for avid book lovers to soak in the joy of reading. 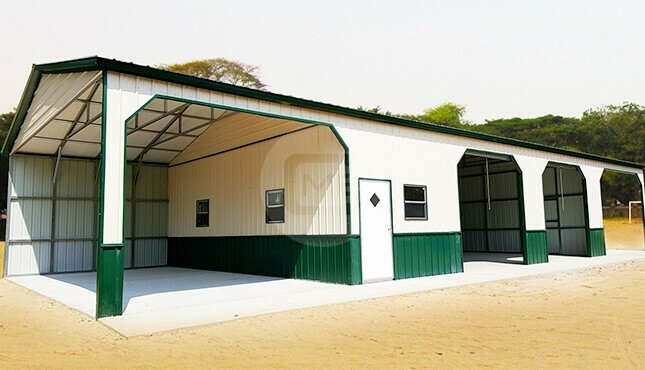 Just raise the eave height of the 30’’ X 50 metal building plan, add a mezzanine floor, and then use it the way you want! Our engineered steel building makes sense at any size. Our sturdy, versatile structures perform better in extreme weather conditions like high winds or heavy snows. And our metal buildings don’t attract mold, termites, or vermin like a stick-build structure does. Give us a call today and let us help you design the ideal custom building for you!